A compact is a set of principles shared by people engaged in a common purpose. 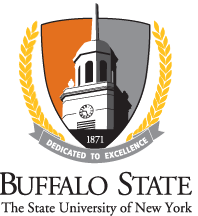 At Buffalo State, the Compact for a Civil and Caring Academic Community describes how those who live, study, and work together as members of our campus community should treat each other with civility and respect, with care and concern, and with a commitment to the academic purpose for which Buffalo State exists. Our commitment to supportive and collegial relationships, respect for diversity and individual differences, and opportunities for individuals to realize their full potentials. The compact is meant to foster conversation, interaction, and reflection on behavior as a way to promote understanding of self and others in the context of a shared community. It should be used by anyone who wants to help promote the standards and expectations arising from its premise that Buffalo State is and should be a civil and caring academic community. The compact is based on the work of Ernest Boyer, former chancellor of the State University of New York, who proposed six principles for creating strong campus communities. Is committed to the educational mission. Aims to strengthen teaching and learning across all units, both in and outside the classroom. Individuals accept their obligations to the group. Student conduct standards define acceptable behavior and are widely known. Academic conduct standards are clear and enforced. Freedom of expression is protected. High standards for civility with appropriate responses to violations. Students speak and listen carefully to each other. Awareness of how actions affect others. Respect for the rights and dignity of other. Individuals support the well-being of others. Service to others is encouraged. Individuals are respected and social bonds are affirmed. Academic and personal support is provided. Connects what students learn with how they live. Builds racial and cultural understanding. Is fair and equitable in practice. Encourages access and offers support. Celebrates success and rewards accomplishment. Rituals connect to the community. Sense of belonging to something worthwhile and enduring.